During Transition Studies in the Senior Phase we are preparing our learners to move on from Kaimes School to positive destinations. S4 and S5 learners develop Skills for Learning, Skills for Life and Skills for Work by getting involved in a variety of Enterprise Activities including running the school tuck shop, organising coffee mornings and table sales etc. We encourage independent travel and fine tune our road safety and travel skills. 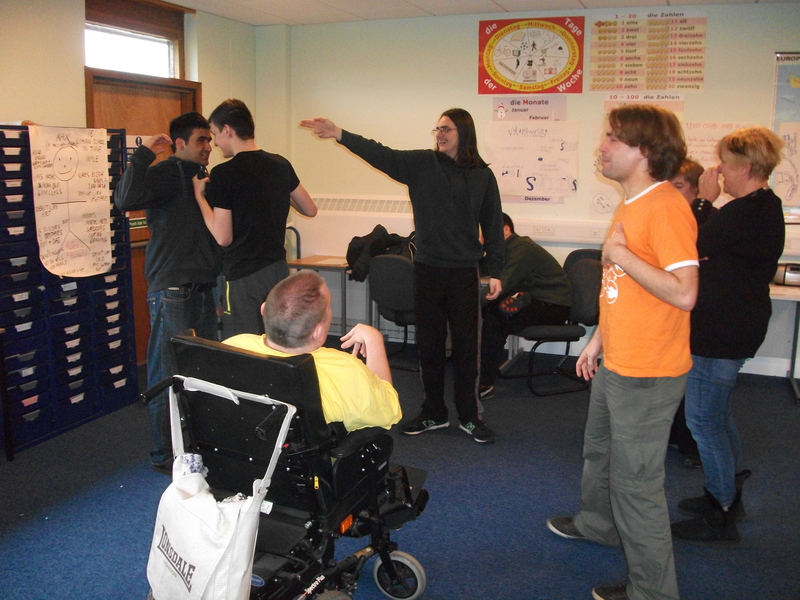 Learners also have the opportunity to participate in the’ InterAct Project’ run by the Thistle Foundation. This supports our learners during the transition from children’s services to the adult world. The project leads on to the ‘BIG PLAN’ a person centred planning process involving our young people and their families. We also visit both Granton and Milton Road campuses. We work closely with our Skills Development Scotland Career’s Coach Margaret Kay who offers advice on college courses and other opportunities for those not wishing to go to college. In S5 learners have an opportunity to explore the World of Work with ‘The Action Group’. Learners can plan and participate in a supported work experience placement. 4K Travel training every Monday to places of interest and evaluating trip on Wednesdays. 4W Travel Training every Tuesday and planning an enterprise task.